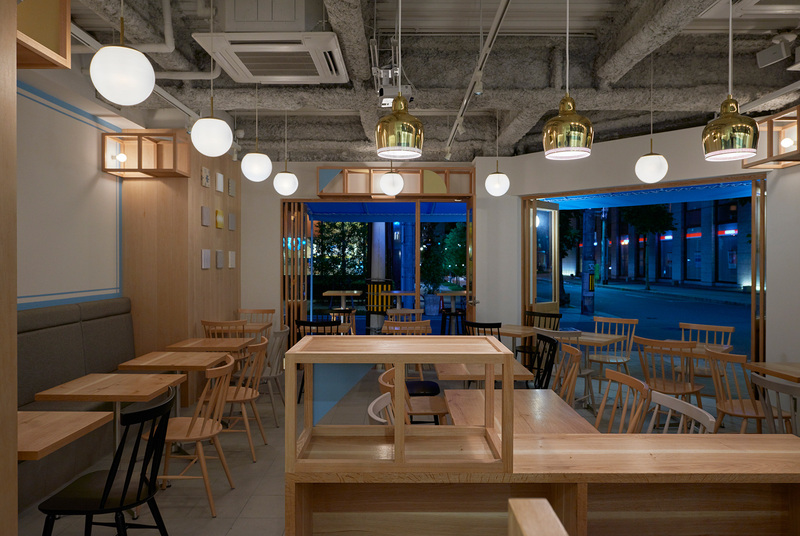 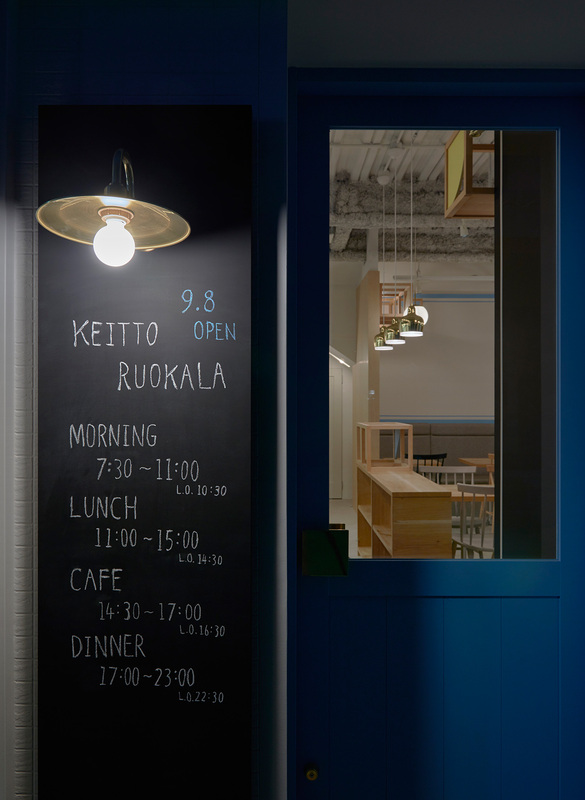 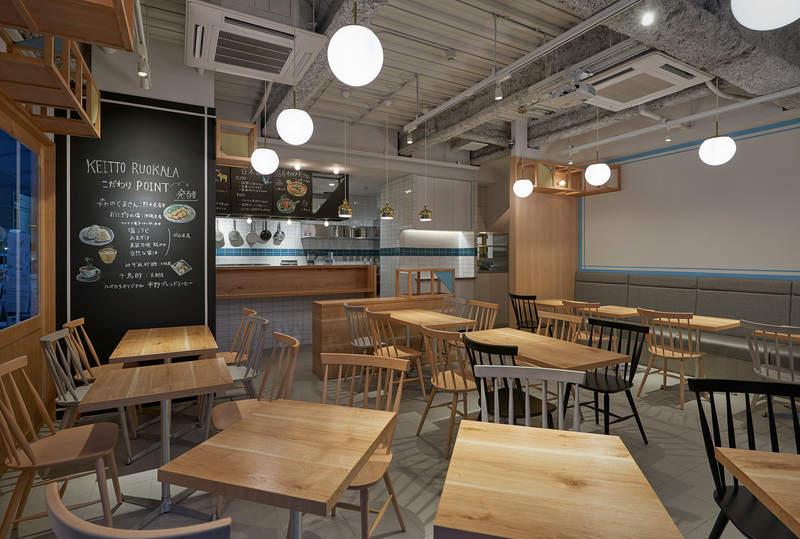 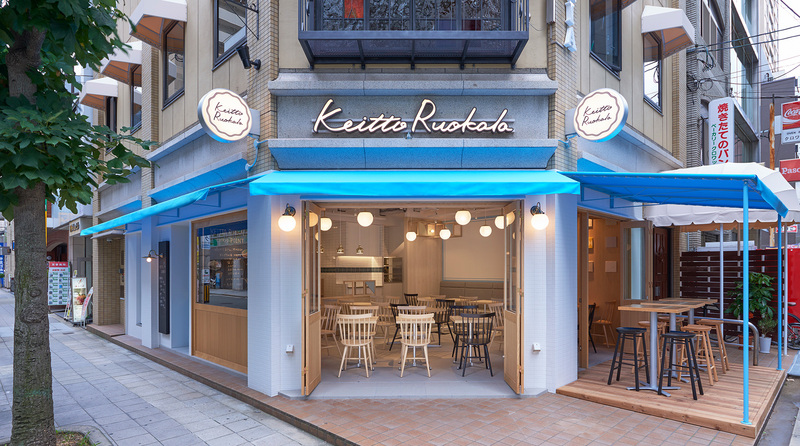 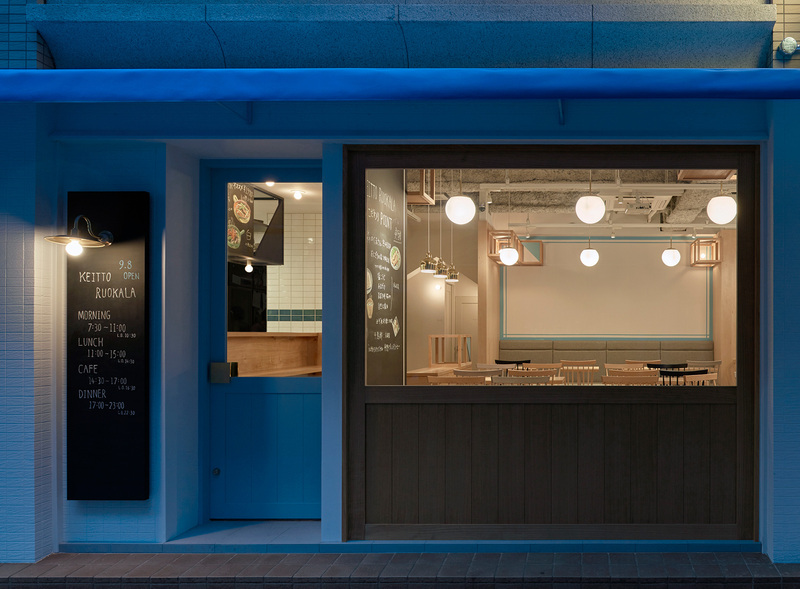 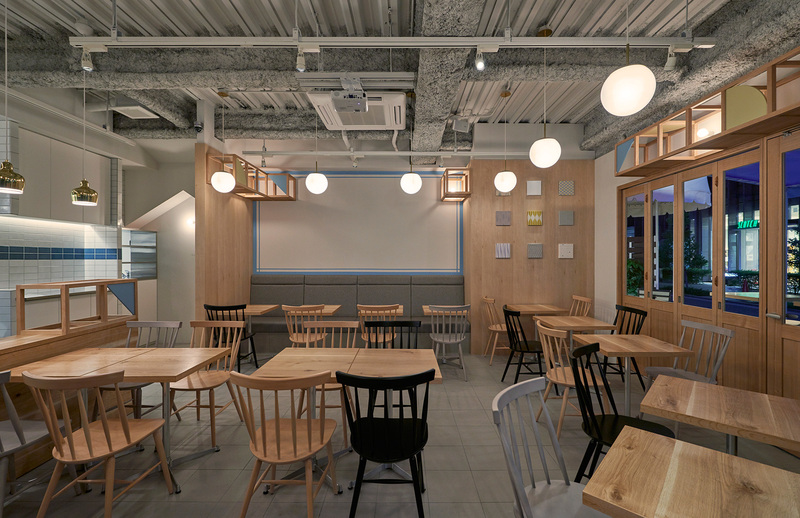 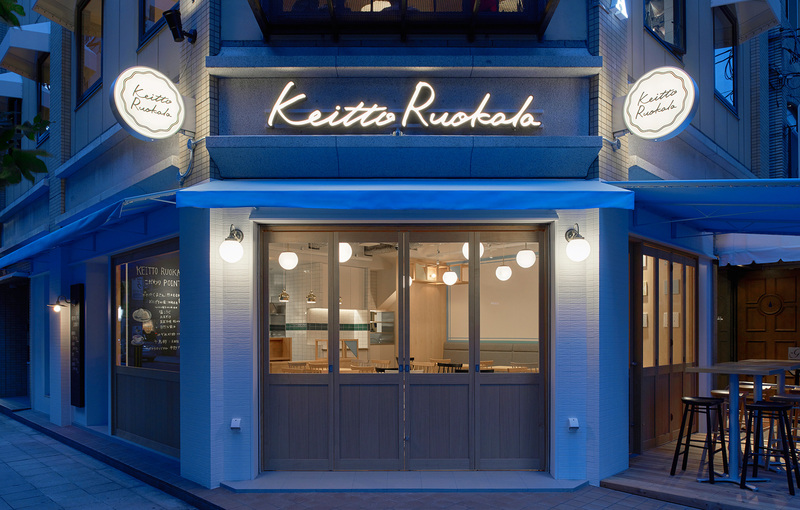 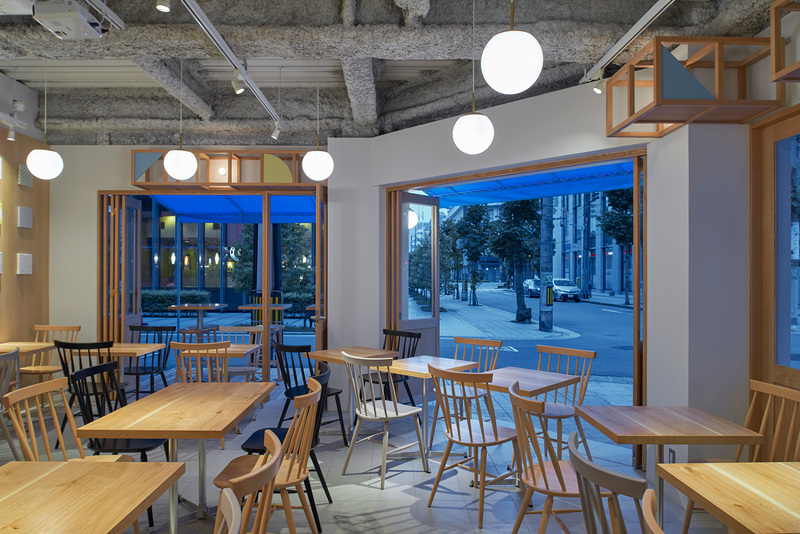 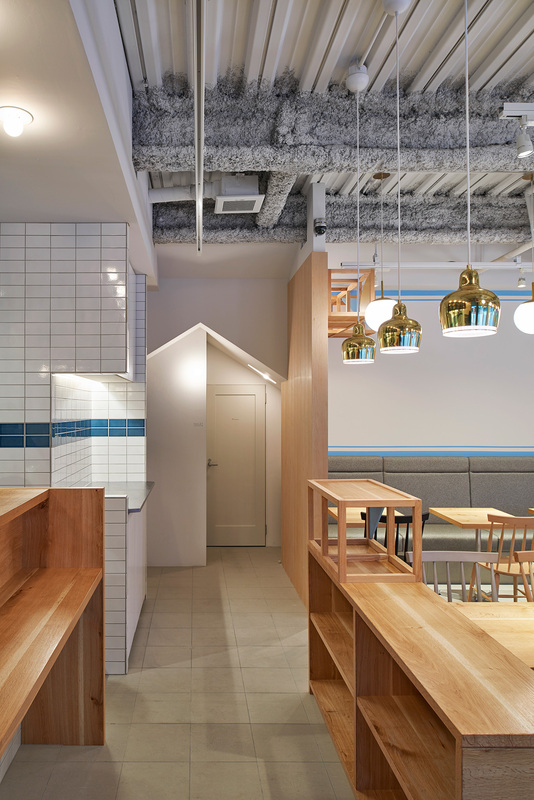 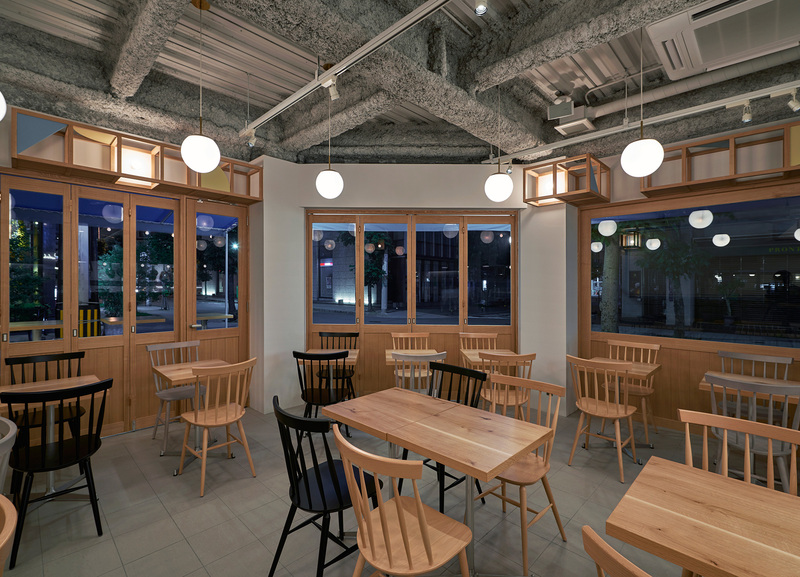 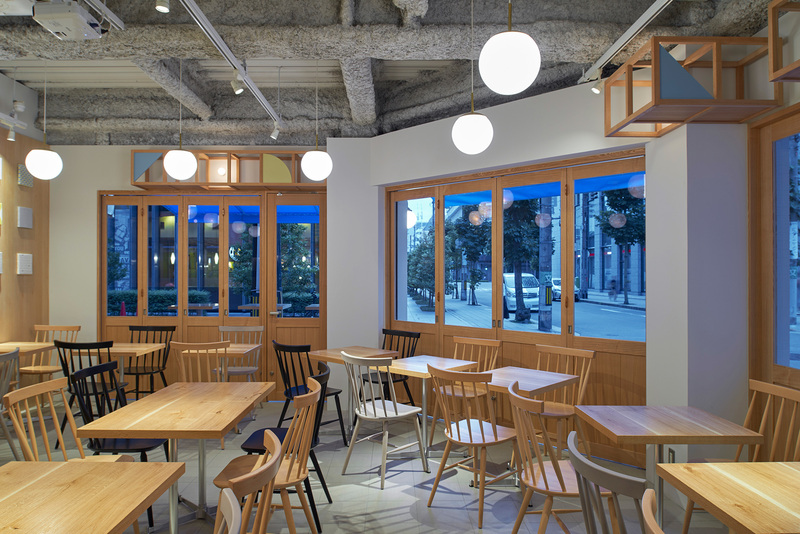 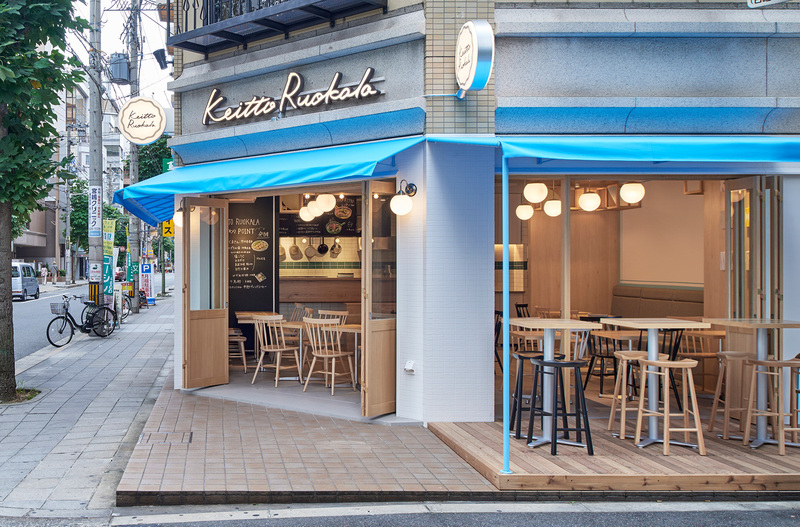 The Design of a diner in Yodoyabashi, Osaka, where they serve dishes inspired from an essence of northern European traditional food and Japanese fermented food. 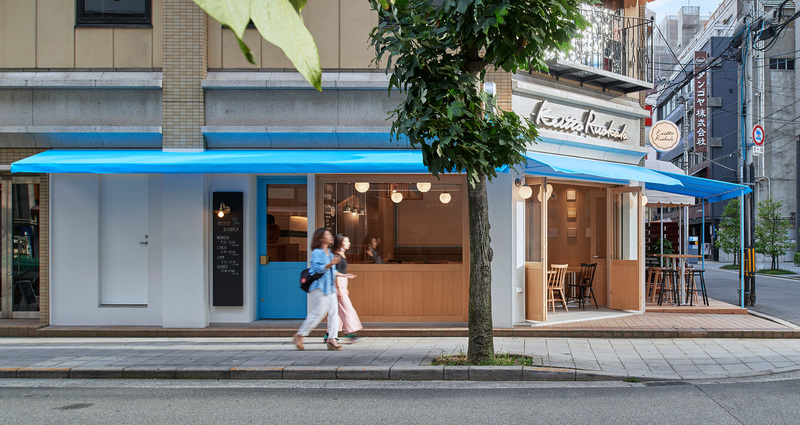 Taking advantage of the L-shaped location, we used a sky blue awing as the facade, which evokes an image of northern Europe. 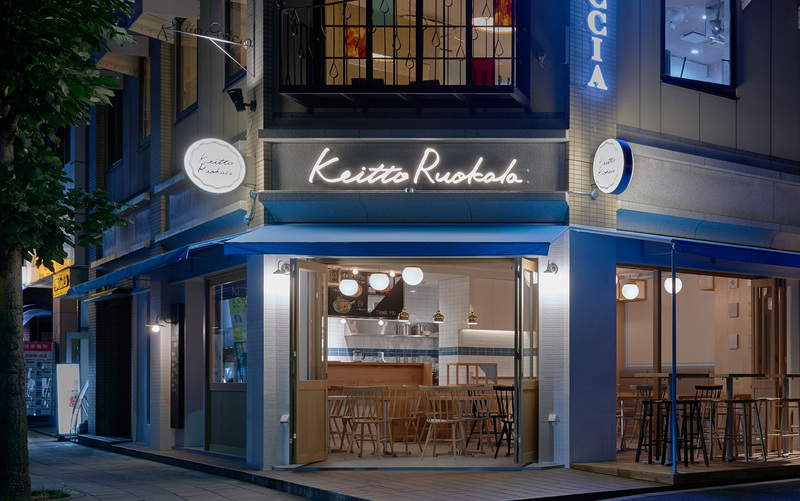 By not employing any other lighting beyond the sign above the awning, the impression of facade dramatically changes between day and night to harmonize with the meals offered those times of the day. 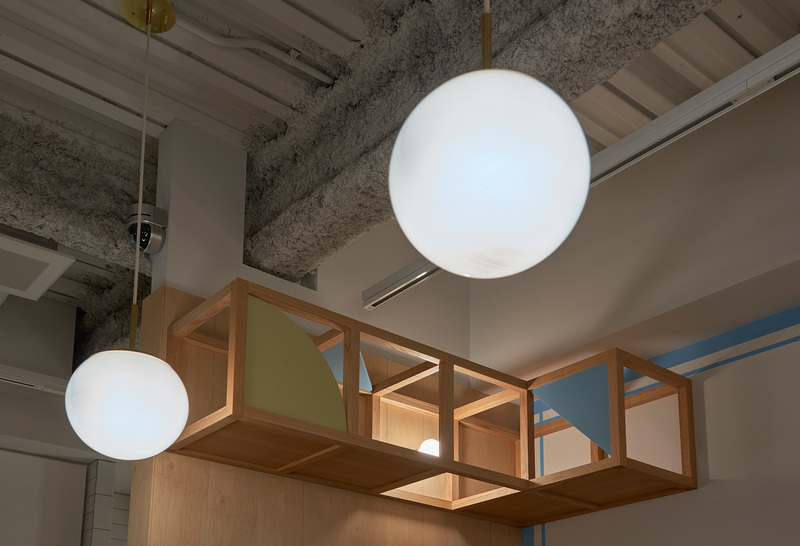 Inside the shop, keeping the northern European customs to finely introduce sunlight into a space in mind, we used ball-shaped lights to create a warm space with fake suns. 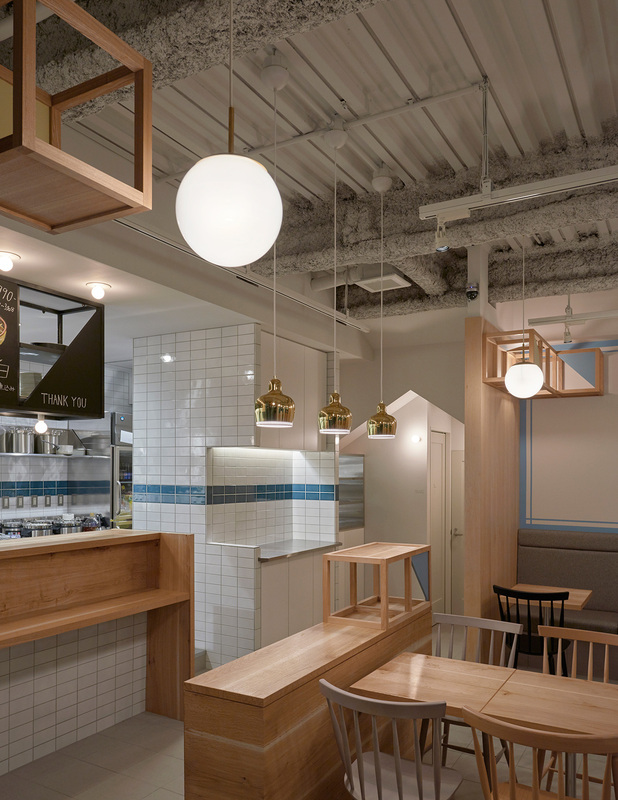 Also, we created a unified and cocooned-feeling space by putting grid-shaped fixtures with geometric motifs inspired from northern Europe’s Himmeli mobile and Japanese lattice framing throughout the shop. 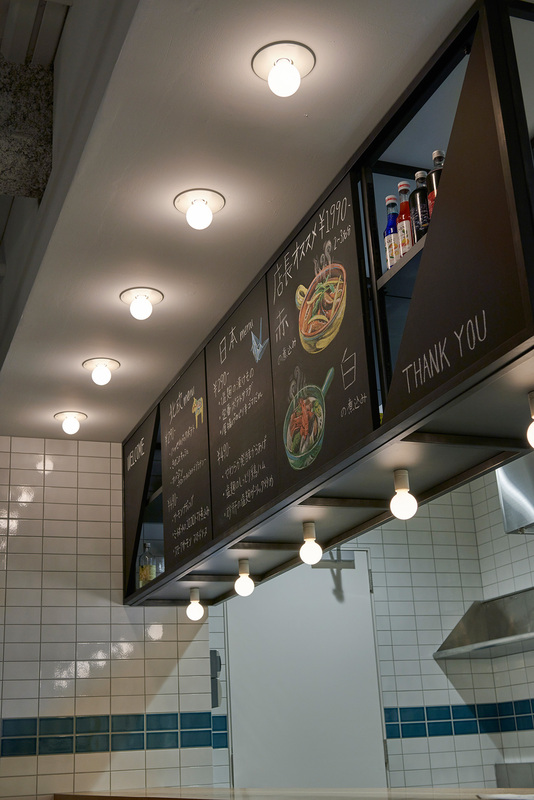 As an “all-day-use” kind of place, we hope a casual air floats through here so that everyone can simply be themselves.